Lyon airport is one of the top transport portals in France, providing a wide selection of flights across Europe and acting as an excellent travel hub for wintersports fans across the world. With three terminals, two runways and a number of links to the city centre and local resorts, Lyon Saint-Exupery International Airport is one of the most popular transport hubs in the ski. With a fantastic array of facilities, travellers have everything they need to pass through the terminal with as little stress as possible. Even though the size of the airport may seem daunting to some, assistance is available on arrival and a dedicated welcome area is available. There is a wide selection of ski resorts in easy reach of Lyon airport, so visitors will be spoilt for choice when it comes to winter terrain. 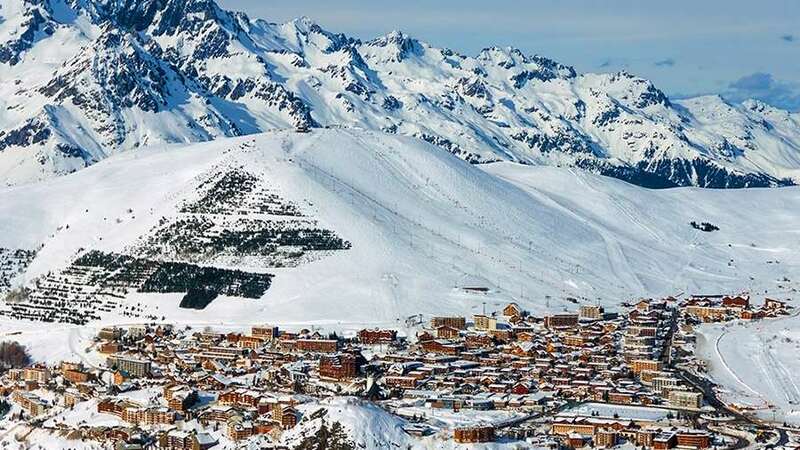 Alpe d’Huez resort (around 90 minutes away) is arguably one of the most popular in the local area, providing a large variety of terrain to suit all kinds of abilities, but there are plenty of excellent alternatives. Chamonix is another excellent resort and provides runs for all types of skier only two hours away. Whether you’re new to the sport, hoping to improve or looking for some new challenges. Based at the top of Mont Blanc, the views here are extraordinary and the routes are unforgettable. The Grand Massif ski region could also be appealing to visitors, offering 265km of pistes across five separate resorts. With regular snowfall, amazing scenery and outstanding facilities, it is a ski paradise based only two hours away. Who flies to Lyon Airport? A wide variety of airlines fly to Lyon. These are: Aegean, Aer Lingus, Aeroflot, Aigle Azur, Air Algerie, Air Arabia Maroc, Air Canada, Air France, Air Malta, Air Transat, ASL Airlines France, Austrian Airlines, Blue Air, British Airways, Brussels Airlines, Chalair, Cityjet, easyJet, Emirates, Eurowings, Fly’be, Hex’air, Hop, Iberia, Iberia Express, IG Avion, Jetairfly, KLM, Lufthansa, Nouvelair, Onur Air, Pegasus, Royal Air Maroc, SWISS, Tassili Airlines, Transavia, Tunisair, Turkish Airlines, Twin Jet, Vueling, Wizz Air, WOW Air, XL Airways. There are a lot of facilities in Lyon airport to help passengers en route to their departure. The Welcome Area, which is open from 6am to 11pm, provides plenty of information on how to navigate the airport, with assistants on hand to assist holidaymakers. What's more, there is plenty of parking available near the airport and three drop-off areas. Transfers can also be purchased to provide access to cities in both France and Italy, while the airport train station offers efficient access to a host of local destinations. Whether you’re looking for a bar to relax in with a soothing drink, or hungry for French cuisine, Lyon’s airport has plenty of places to relax ahead of your flight. The Premium Bar is a great place to unwind, with excellent decor and a mouth-watering drinks menu. For a tasty snack, the Food Village could be the best option. With several eateries based in the area, it is the ideal place for visitors to create a delicious lunch to satisfy their appetite. If a full meal is what you’re looking for, the OL Brasserie provides spectacular food and live sports, so you won’t miss any of the big sports events happening during your time in the airport.